What, for me, best explains the magnetic power of the television series on Netflix, The Good Wife, is the leading lady’s belligerent atheism. Given my over-half-a-century of faith in Christ/Crucifix and seeing a similar love of Our Lord in Grace Florrick, daughter of The Good Wife herself, I keep holding out my own hopes that, in a continuance of the hugely successful series, Alicia Florreck will, yes indeed, be saved! Liberated from her unrelentingly tenacious denial of God’s existence. As a further enticement for my addiction to this series is the depth of corruption displayed by this drama’s Democratic Party, its leadership and the long bench of corrupt judges which such Liberally Progressive, New World Order “Dems” can supply. 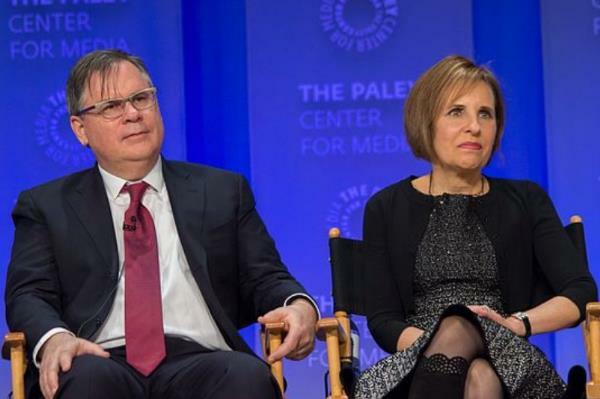 Michelle and Robert King, creators of The Good Wife, appear to be on a teaching mission. Their counterparts in the drama? The Good Wife herself and her one and only true love, the lately assassinated, legal genius, Will Gardner. In the last series, Will Gardner’s ghost begins to appear as a post-mortem adviser to The Good Wife. These two lovers appear to be its creators’ profoundest exponents of reality. The Good Wife, amidst all of her impressive legal genius, refuses, in her increasingly emotional nightmare, to recognize any god and says so repeatedly. seems to have worshipped only the law, The Good Wife and his own impressive intelligence. The saving grace for both Alicia and Will, Michelle and Robert King? They are the harbingers of Third Millennium, “Postmodern” brilliance! No one could ever possibly say that Karl Marx and his brand of atheism were inept. What is most impressive about the postmodern soul within the Romeo and Juliet of Netflix The Good Wife is the depth of the Chicago Democratic Party’s corruption. The Good Wife’s recognition of that fact, the reality of the American Left’s criminal narcissism? It justifies our heroine’s very fashionably neo-existential despair. Her increasingly frequent brush with Republicans? Her obligatory encounters with American Conservatives? They are not always adversarial. She knows no God, therefore she knows no religion, including Marxism.